The scene: A tiny island off the coast of Belize. Eighty-four palm trees; 1,084 purple-clawed hermit crabs; six humans. The solution: Observe the hermit crabs. It has long been known that hermit crabs depend on the abandoned shells of another species—gastropods, otherwise known as sea snails—for shelter and protection. And it’s known that throughout a hermit crab’s life, it will inhabit a series of shells as its body continues to grow (some hermit crabs are as big as a softball). The discovery: What the biologists saw, during their many hours of crab-watching, was that hermit crabs engage in two different types of behavior when switching shells, something that hadn’t been observed previously. And one of those behaviors is very similar to what we humans know as social networking—in this case, a number of crabs gathering together to switch shells among themselves in a sort of chain reaction. “It’s a pretty rare event. The first time we saw it, we were flabbergasted,” says Sara Lewis, a professor of biology in the School of Arts and Sciences. At the time, Lewis was working with Randi Rotjan, G07, a doctoral student in her lab at Tufts who is now a research scientist at the New England Aquarium. Their findings were published in the May/June 2010 issue of the journal Behavioral Ecology. 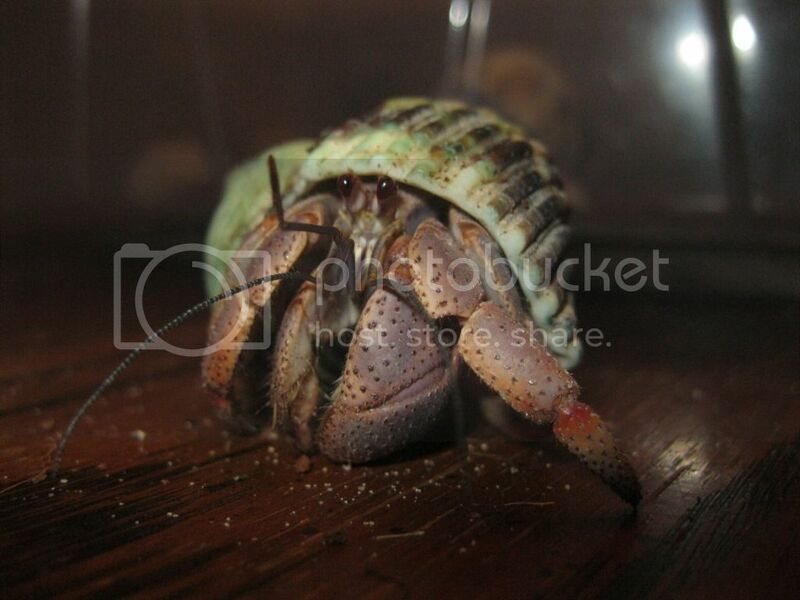 Quite often, hermit crabs behave true to their name and seek out a new, larger shell as a solitary activity. Once a crab finds a new shell, it abandons the old shell, slides into the new one and goes on its way, leaving the used shell for another crab to find at some later time. That’s known as an “asynchronous vacancy chain,” because it takes place over an extended period of time. What Rotjan and Lewis observed, however, was a previously undocumented phenomenon—what they call a “synchronous vacancy chain.” This happens when a large empty shell becomes available and many crabs gather around it, a process that can take hours. As they gather, the crabs arrange themselves into a line of decreasing size, starting with the largest crab holding onto the empty shell. As though choreographed, the crabs will begin shell-swapping, one after the other, a smaller crab climbing into a new shell immediately as it’s vacated by the slightly larger crab ahead of it. “Suddenly, we went from this view of hermit crabs alone on the beach, or fighting with other crabs for their shells, to thinking about hermit crabs as social creatures,” Lewis says. There are many comparable human social behaviors, Rotjan says. Think about September 1 in the Boston area, the day that leases begin for most off-campus apartments. “Students have spent months lining up apartments, and then on September 1, everyone moves on the same day,” she says. Or think of the NFL draft, when teams gather to divvy up the available new prospects at one place and time. On a return trip to Belize, Rotjan brought dozens of empty shells of various sizes—dyed bright green for easy recognition—and placed them around the island. The researchers then videotaped what took place around the empty shells. What makes the synchronous chain possible, they learned, is the phenomenon of “waiters”—these are crabs that loiter near a too-large shell, waiting until another, bigger crab comes along, in hopes of getting a hand-me-down. Since hermit crabs can range from the size of a fingernail to the size of a baseball, social networking among crabs of many sizes is needed to make the vacancy chain work. Sometimes, multiple teams of crabs were observed fighting for the same big shell. The crabs would form several lines facing toward the shell, creating a “starfish” effect. As the lines formed, the smaller crabs would sometimes dart back and forth from the end of one line to the next, trying to predict which line would be most likely to capture the prize—picture supermarket shoppers moving their carts from one cashier’s line to the next, looking for the shortest wait. When enough “crab power” has amassed, the lines of crabs would begin a tug-of-war over the largest shell. Unlike the shoppers, who all eventually get a chance to check out, only one line of crabs would get new shells. How does word get out among the crabs about the availability of shells? Is there a Craigslist of sorts for arthropod society? “There are lots of possibilities—maybe the waiters make little crab noises, or give off chemical cues, or somehow signal to draw in other crabs,” Lewis says. It's good that someone will be doing more research that may be more "mainstream" so people might start to see them as we see them.